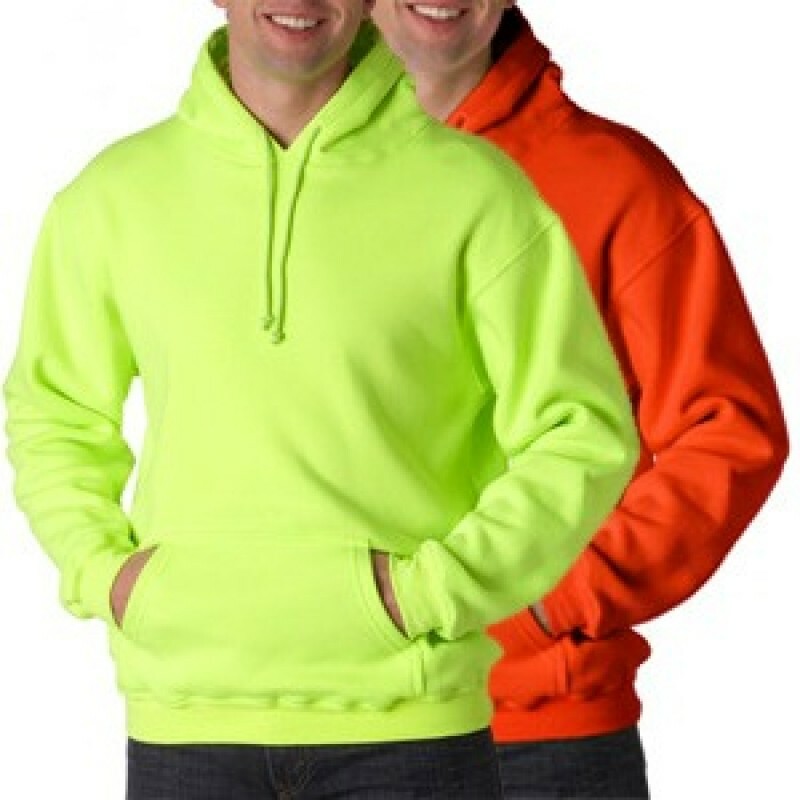 Our high visibility hooded fleece heavy weight sweater is preshrunk and constructed from 80% cotton/20% polyester. The cuffs and bottom band have Lycra added for extra stretch durability and all seams are double-needle stitched. The best of all, this safety sweater is made in the USA.